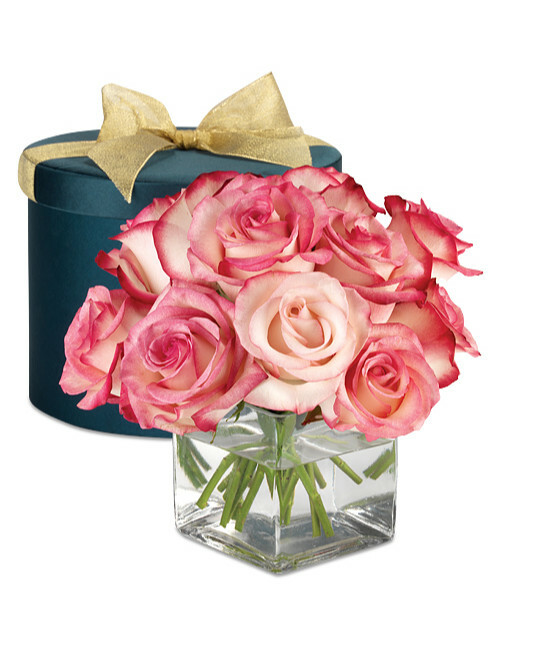 Imagine her amazement when she receives a gorgeous satin hatbox topped with a golden bow, inside which is a bouquet of the most pristine pink roses she’s ever seen. 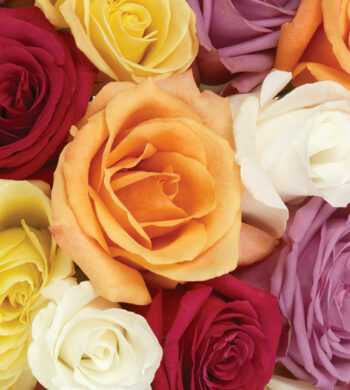 This exquisite surprise is a masterpiece to say the least, with a dozen of our luxury roses showing off impressive petal counts and blooms beyond perfect (if that’s possible). The roses will arrive in bud and bloom, treating her to several new shades of pink day after day. Remove bouquet immediately upon arrival by pulling up on the handles of the insert. 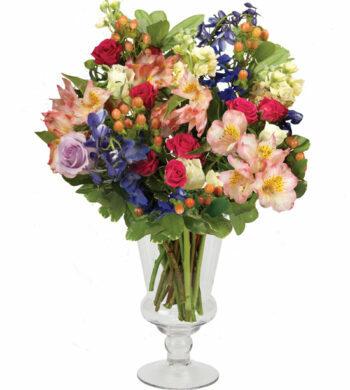 Gently lift bouquet from the slotted center. 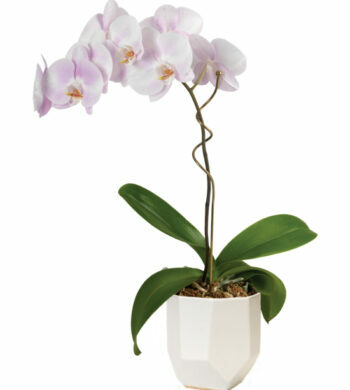 Fill vase ¾ full with warm water and add flower food. Keep band around end of bouquet. 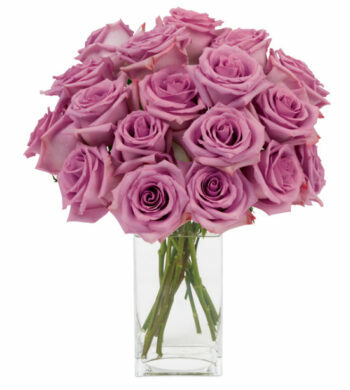 Trim ½” from bottom of bouquet while holding stems under water, and place immediately in vase. Keep arrangement away from drafts, direct sunlight and excessive heat or cold. Change water and re-cut the stems every other day.